24 years now Elite Golf Performance has trained and developed over 120 juniors to Division 1 golf scholarships through our high school and collegiate prep programs. EGP junior golfers have attended schools such as Texas, Arkansas, Arkansas State, LSU, Tennessee, Northwestern, Indiana, Kansas, Memphis, Alabama, Nebraska and more! EGP junior golf programs go so much further than just teaching golf to the kids, it's a life leadership and develop program as well. "Elite Golf Performance has done a fantastic job for my son. They focus not only on the golf swing, but the physical conditioning of the golfer. Matt also is the best club fitter I have met and truely understands how to set up the equipment to maximize a players game. My son has gone from 20 handicap to a .8 since he started working with Elite Golf Performance and is well on his way to his dream of playing college golf." Designed for the beginner golfers development along with golfers aspiring to play High School.. We cover all aspects of the game long game, short game, Golf fitness evaluation, personal training, mental, course mapping, strategy and management. After this training program, the player will have solid fundamentals and understand how to play game to the best of their abilities. This junior receives 2 private lessons per month in this program. Designed for the beginner golfer for development along with golfers aspiring to play High School and Collegiate Levels. . We cover all aspects of the game long game, short game, Golf fitness evaluation, personal training, mental, course mapping, strategy and management. After this training program, the player will have solid fundamentals and understand how to play the game to the best of their abilities. Golfers will receive a practice and playing workbook and manual for their current levels. This junior receives 4 private lessons per month in this program. Designed practices, skills challenges, workouts and playing programs by College Coaches, PGA Tour Winners influences along with EGP. This program is for the High School golfer apiring to play Collegiate golf on scholarship, along with golfers aspiring to play High School and Collegiate Levels. . We cover all aspects of the game long game, short game, Golf fitness evaluation, personal training, mental, course mapping, strategy and management. After this training program, the junior will be prepared both mentally and physically to play golf at the collegiate level. Golfers will receive a practice and playing workbook and manual for their current levels. This junior receives 5 private lessons per month, EGP online workout and training program, along with the EGP Advanced Short Game Scoring School per month. Elite Golf Performance offers a junior golf tournament scheduling service. This helps parents really make the right decisions in which tournaments their juniors pick to play in. In most cases we find parents don't understand the best process in planning a proper schedule, which in turn leads into over spending/under spending without maximizing their child's potential. We truly understand how much this program is needed in junior golf and that's why we created it, You don't have to be a student of EGP to buy or use this service, this is about helping all the parents and juniors reach their goals with less frustration with a much easier path. 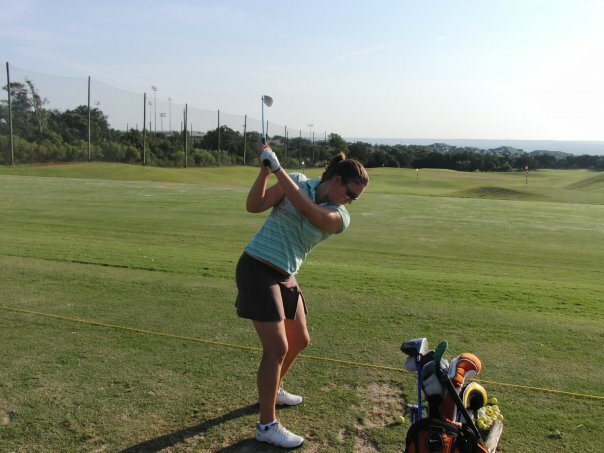 "Elite Golf Performance Training Center and Instructor Matt...Is truly "The Best Instructional Golf Facility In Texas!" We signed our son up for his High School/College Golf Training Program about a month and 1/2 ago and we have already seen a big improvement in his game! Our son really likes the individualized attention of small groups for the physical conditioning training and Instruction classes. My son has went from shooting in the 100's to winning junior golf tournaments and shooting in the low 70's only within 1 year! Matt is very personable, professional , and is an "Expert" in his field!!" My son, Martin (15 years old) ask if he could take some lessons to help his golf swing. I came across Elite Golf Performance and decided to give it a try. He would score in the upper to middle 90's. He has taken 4 sessions with Matt and this week he shot a 79 and 75. I can see his game improving day by day. His confidence in his game is at an all time high." "After working with Matt and EGP, I was able to get a golf scholarship for college and play the number one spot on my team each year. In college, I won two tournaments, All-Conference standing, and ESPN Academic All American. My scholarship increased every year. Matt was pivotal in the accomplishment of each of these achievements. He taught me the value of a strong work ethic and helped me to see what it would take to achieve my goals. I would recommend lesson's from Elite Golf Performance to anyone."